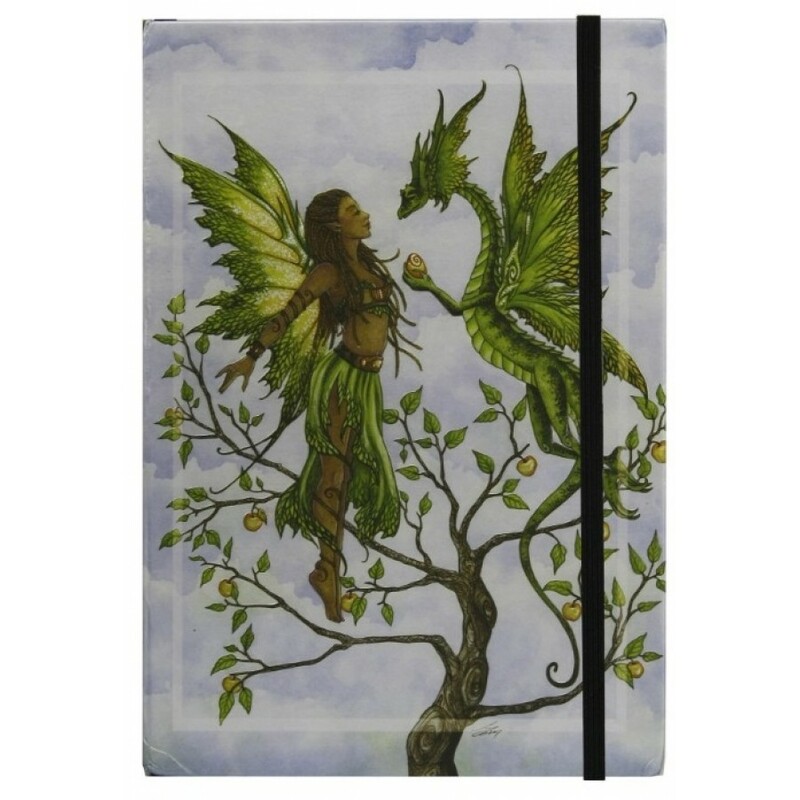 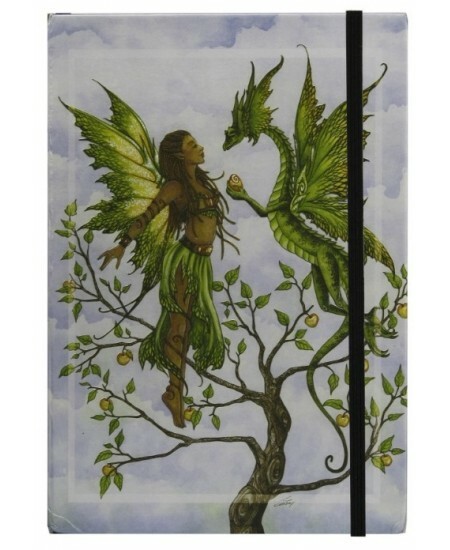 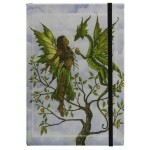 Beautiful full color printed hardbound blank book features full color The Gift dragon and fairy art by Amy Brown. 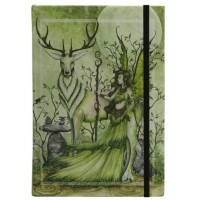 Hard cover journal is printed in full color and measures 5 x 7 inches. 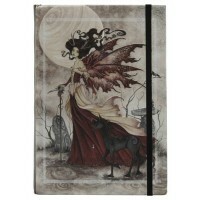 It has an attached elastic strap to keep your place or keep the journal closed from prying eyes. 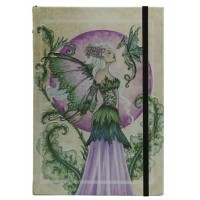 It contains 100 pages of unlined paper ready for your words or art. 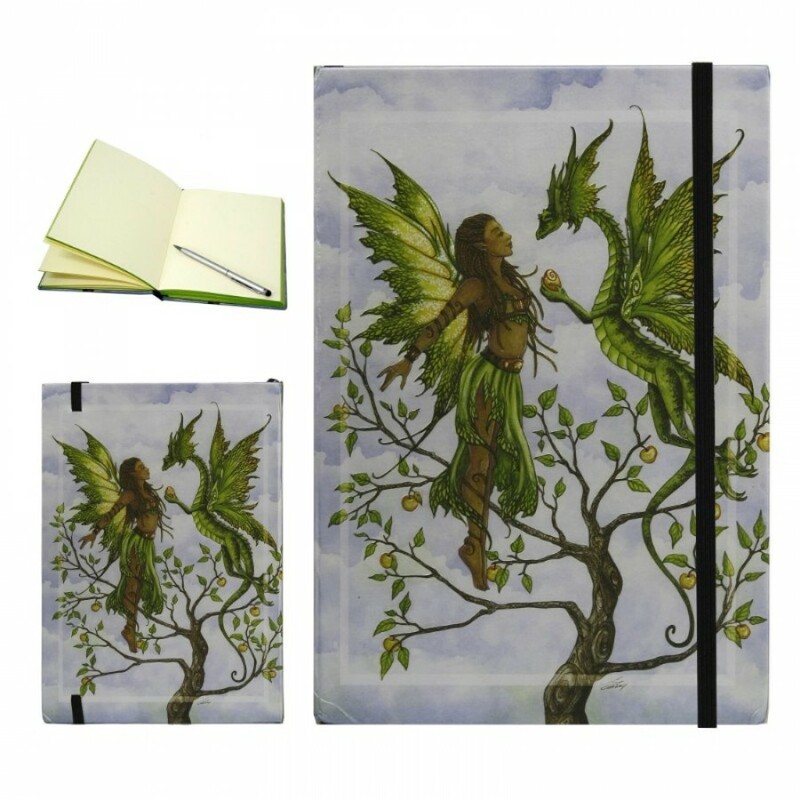 A great gift for any creative soul. 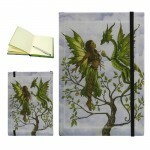 Item Number: PT-12631 | Approximate Size (Inches): 5.00 wide x 0.75 deep x 7.00 high | Approximate Shipping Weight: 0.50 lbs.